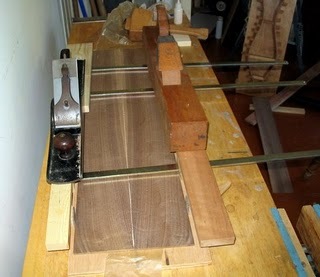 I love to thickness tops, backs and sides with hand planes. It’s quiet, challenging and a good physical workout. If all goes well the surface of the wood will be just about ready for finishing. 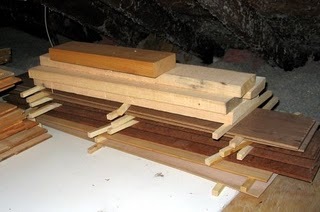 That being said, to produce instruments for sale in a reasonable amount of time most luthiers will use a thickness sander to prepare the wood. I decided to give this a go but I didn’t want to invest a lot of money on a machine nor did I want to add a relatively large item to my small shop. 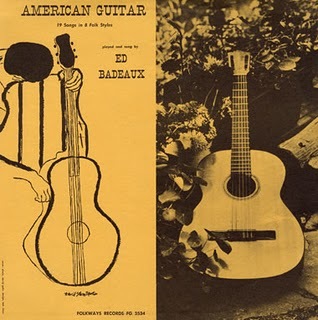 Until recently commercially available thickness sanders were large and expensive. Many instruments makers cobbled their own machines together. Though smaller and more affordable thickness sanders are now available I decided to make one out of what I had lying around. 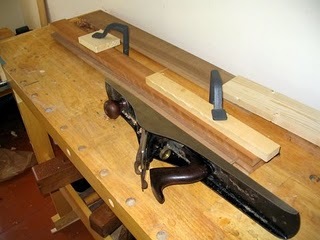 The heart of most homemade thickness sanders consists of a drum sander spinning over a hinged board. 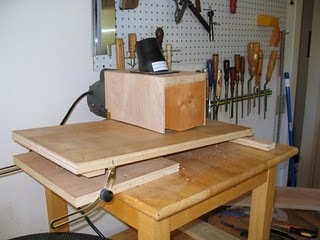 When one end of the hinged board is raised the distance between the board and the sanding drum narrows providing an easy way to determine how much wood will be removed with each pass. To make this machine I used a 1/3 HP motor salvaged from a cheap drill press destined for the scrap heap, some plywood, an old end table I was trying to give away, a 6 inch sanding drum and a few odds and ends from the local hardware store. There is a knob on a threaded rod underneath the hinged board that doesn’t quite show up in the photographs. This knob makes it easy to open raise or lower the height of the table by small increments. The two brackets on the sides of the table keep it from wobbling from side to side. They work but if I was making this again I would use something more substantial. The dust hood was made out of some scrap lumber and plywood. At first I just fit a shop vacuum hose into a hole drilled in the top of the dust hood. After the third or fourth time it fell out I screwed on a hose adapter and it works much better. The machine produces surprisingly little dust as long as the vacuum is running. I use 60 grit sandpaper on the drum. 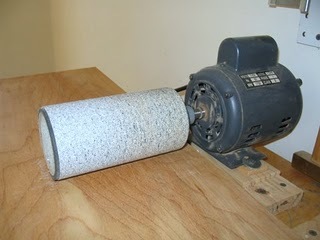 The sanding drum is mounted to the motor leaving the other end of the drum free. Using the 6 inch sanding drum I can sand a board up to 12 inches wide in two passes. The machine works quite well as long as I take light passes. I leave the sanded wood a little on the thick side. I then vacuum and wipe off as much dust and abrasive as I can. A few passes with a scraper removes any grit left behind and I do the final thicknessing by hand. Jews Harps are found throughout the world. 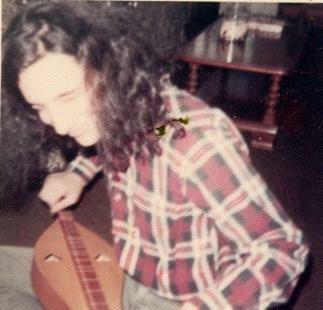 The name is an enigma; I have never heard a believable story connecting this instrument to the Jewish people. 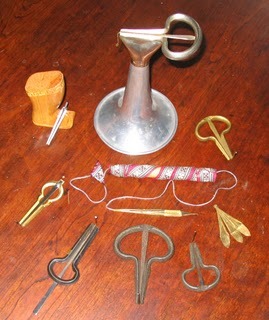 Every culture has their unique variation of the Jew’s Harp but they are all basically the same; a frame of metal, bamboo or wood with a reed of metal, bamboo or wood. 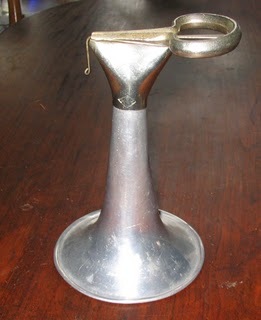 One of the more interesting instruments I’ve come across is the Jewasaphone. Someone thought this was such a good idea they patented it! Maybe they thought that everyone in America would have to have one! The horn actually does make the Jew’s Harp sound louder if it is aimed at you. This can be a fun or frightening experience depending on who is at either end of the instrument. I hope to soon have some sound files linked to this blog and I’ll make sure the Jewsaphone will be in one of them!